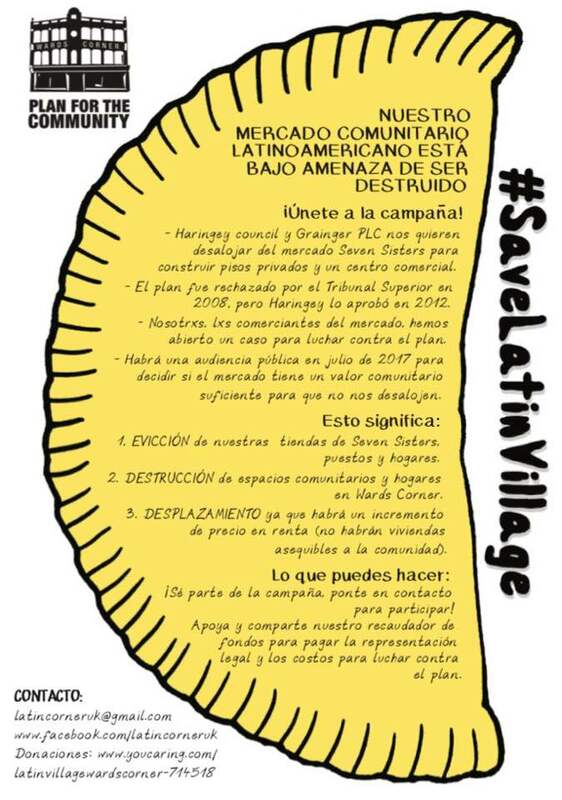 Save the Latin Village & Wards Corner Campaign would like to invite you to a cultural public event in support of the Latin American and minority community in Tottenham. Our aim is to celebrate Latin culture and diversity, to occupy public space, inviting people to dance, samba, salsa on the Latin corner outside the market as a way of raising awareness about the campaign and the threat of gentrification that our community faces. The event will be held Saturday the 8th of April, it will begin at 2pm with a live samba band show, and will continue until late. We will aim to form a human chain around the block at 3pm. Remembering the symbolic human chain that was formed around Wards Corner in 2008.